The New Mexico Department of Transportation (NMDOT) specifications, standards and test methods have been the standard in New Mexico for more than 50 years. During that time NMDOT has changed their nomenclature for asphalt mixes several times, typically following a major rewrite of their asphalt specifications and mix design criteria. The last change came in 2000 when NMDOT adopted the Superpave Performance Grading System and Superpave Mix Design System. Superpave mixes are the standard today; however, there are still many private and public entities specifying earlier versions of NMDOT specifications and corresponding asphalt mixes. The table below shows the most commonly used/specified NMDOT dense graded asphalt mixes under current specifications and their equivalent under earlier versions of NMDOT specifications. NMDOT specifications include a wide range of asphalt mixes for a wide range of applications. These mixes include dense graded, open graded and gap grade mix technologies as well as a variety of surface mixes, intermediate mixes, base mixes and special application mixes. Specific information and guidance of the use of each of these mixes can be found by clicking on the link at the end of this section. However, the most commonly used mixes for all types of asphalt pavements are dense graded mixes. Also, for each mix use type (surface, intermediate & base) there is one particular mix that is specified for over 90% of all applications. Listed below are exerts from NMDOT Materials Division’s Manual of Instructions giving the descriptions and binder requirements of these “standard” NMDOT asphalt mixes. Surface mixes serve as both functional and structural layers of the pavement structure. Surface mixes are directly exposed to traffic and the environment. They must provide a smooth, stable, safe (i.e. skid resistance) riding surface, and promote surface water drainage. In addition, they serve to prevent the entrance of excessive quantities of water into the underlying HMA layers, bases and subgrade. The surface layer normally contains the highest quality materials. In most instances, only one surface mix lift will be placed on a project. SM-9.5A This mix is a ‘fine’ to ‘medium’ (3/8 inch (9.5 mm) nominal maximum aggregate size) surface mix generally placed at 1 ½ inches (40 mm) thickness. The ‘A’ designation corresponds to the Performance Graded (PG) asphalt binder of PG 64-22 required in the mix. SM-9.5A mixes usually result in low water permeability values. This mix tends to be less susceptible to segregation than the SM-12.5 mix. SM-9.5A surface mixes can be considered the desired surface mix and are recommended for most final surface applications. IM-19A – This mix is a ‘coarse’ (3/4 inch (19.0 mm) nominal maximum aggregate size) mix generally placed at 2 inches (50 mm) thickness. 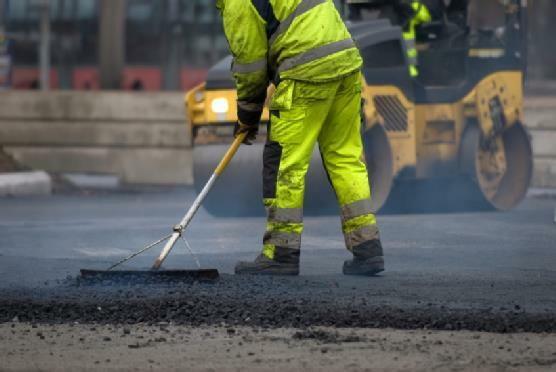 This mix can handle public traffic during construction for an extended period of time and allows for later application of a surface mix to provide a final wearing surface. The ‘A’ designation corresponds to the Performance Graded (PG) asphalt binder of PG 64-22 required in the mix. BM-25.0A – This mix is a 1 inch (25.0 mm) nominal maximum aggregate size mix generally placed at 3 inches (75 mm) or greater thickness. Depending on the aggregate gradations and placement procedures, this base does not usually require placement of an intermediate course to provide a platform for placement of a smooth wearing surface. Public traffic should not be permitted on this material for extended periods of time without restrictions. The ‘A’ designation corresponds to the Performance Graded (PG) asphalt binder of PG 64-22 required in the mix. 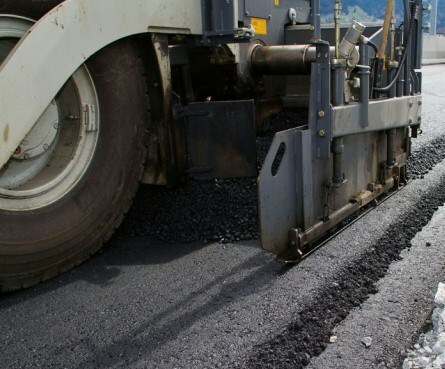 NMDOT has many different mix types, disciplines and PG binder grades in their specifications that enable them to tailor asphalt mixes for a wide range of applications, traffic loading and functionality. 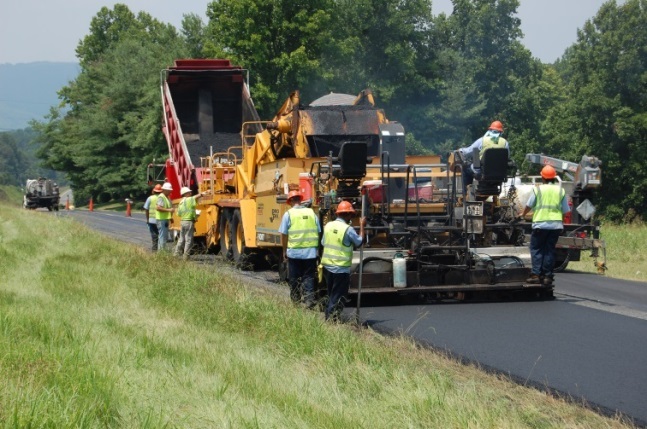 Working with the asphalt industry description and guidance on mix types, binder grades, application rates, and function have been developed and are included in Section 605 of the NMDOT Materials Division’s Manual of Instructions. The following is the introduction from the manual outlining the purpose of the section. The complete Section 605 can be accessed by clicking on the link at the bottom of the page. These guidelines are applicable to NMDOT projects. While the guidelines could be used for non-NMDOT work with similar conditions, experience and engineering judgment should be exercised for such application. These guidelines indicate the general highway conditions under which each mix should be used. Generally, a single mix type is used for all lanes in a single direction of a roadway. The asphalt binder type ESAL (Equivalent Single Axle load) range is based on an expected service life and is used in conjunction with the mix type’s nominal maximum aggregate size in this guide. Traffic speed, vehicle types and volume should also be considered in the selection of a mix type. These considerations may warrant the use of a stiffer binder. Experience and judgment should be used in selecting the appropriate mixes to be used. Each District may implement a simple guide chart to eliminate those.